Game Preview: Who’s My Candy Prince? Today’s post comes from High 5 Blog correspondent Ali. What’s better than having a ton of candy and not having to share it with anyone? Having even more candy and someone to split it with, of course! In Who’s My Candy Prince?, this week’s Shake the Sky release, you can search for your significant other while surrounded by sweet treats. 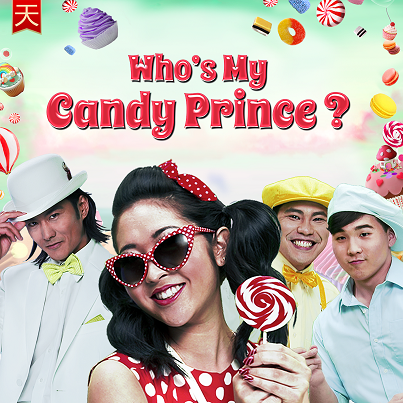 If you love the entertaining theme and bright colors of Tall, Rich, & Handsome, then Who’s My Candy Prince? is the game for you! The fun, surprises, dancing – and of course candy – never ends in this wild game of confectionery delights. The desserts aren’t the only rich things in this game – Super Stacks and the Ice Cream Collection Bonus lead to big wins! Get ready for some sweet fun in the bonus round; collect all the ice cream flavors and you’ll be taken to a Pick Bonus where you can select ice cream toppings that will award you credits or a multiplier! As always, Who’s My Candy Prince? will release unlocked to all players at Shake the Sky Casino! In the spirit of this upcoming new release, let us know your favorite candy or dessert in the comments section below! This entry was posted in Shake the Sky Casino and tagged Facebook, game preview, Ice Cream Collection Bonus, Shake the Sky Casino, slots, social gaming, Super Stacks, Tall Rich and Handsome, Who's My Candy Prince by bobbyhigh5. Bookmark the permalink. I’m getting more and more disappointed with High5. The machine aren’t paying off anymore and the free spins I never win anything. So what’s up with this???? ?